One summer afternoon, we walk right through a beautiful home built in the 1980s in Aravaca, north of Madrid, and out the back door to the garden. At the end of an enchanting modern patio lies a studio outhouse made from recovered panels of glass and metal. From the description, one would imagine a dingy space but, in fact, it is quite the opposite. It is a rectangular, clean floorplan, housing all kinds of wood-turning machinery, which has been built, little by little, with various layers of materials sourced by a very special artisan, Martín, and his artist/sculptor sister, Inés. The house belongs to their grandparents. Alberto, a former architect, and his painter wife, Esperanza, both of whom are sitting comfortably in the living room as they greet us sweetly, and look happy to have visitors come in and out. Through their influence, they have unmistakably planted a seed of artistic curiosity in their grandchildren. In fact, Martín and Inés are very lucky, and come from a family of supportive parents. Many years ago, their mother María, started one of the Waldorf schools in Madrid, and both children went through a more liberal style education system, which encouraged them to make things with their own hands from a very early age - perhaps inspiring their little creative minds to want to develop the type of projects they work on now. 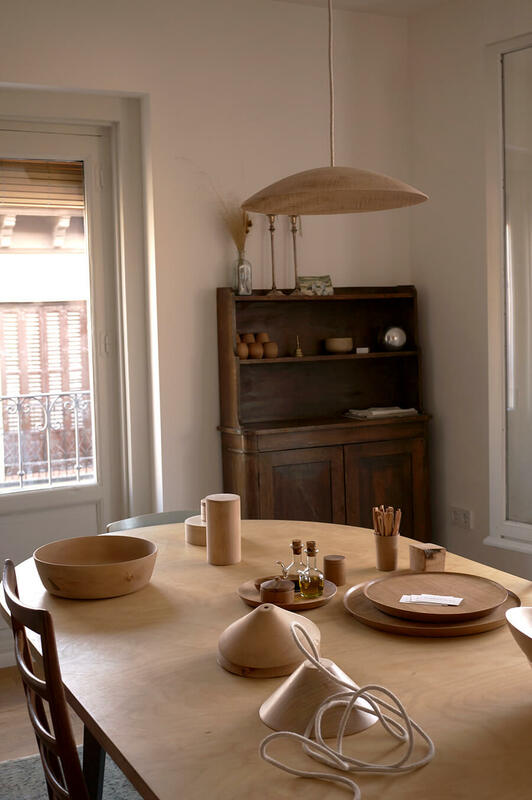 Siete Formas (which means 'Seven Ways' in English) is an artisan project created originally by Martín, whose interest in transforming solid pieces of wood into everyday objects - with an incredibly clean aesthetic - started when he trained with a master in the craft, some years ago. His career took a twist, and he decided to jump into the project, without entirely abandoning his previous careers, as a financial advisor first, and then as a commercial pilot. In the past few months he has also brought on board his sister, Inés, who has just returned from attending art school in Scandinavia, and has a special interest in sculpture. He has also teamed up with Miguel Cerezales, a forestry engineer, and long time friend. Each of them seems to have a profound understanding of modern craftsmanship, but also a sensibility for things well done, while always embracing their unique processes as an art form. Their perseverance helps them earn respect from their peers and, all the while, allows them to grow their knowledge. The pieces that Siete Formas produce have a particular weight and consistency. It is almost as if one can feel the dedication and courage that has gone into transforming each solid piece of quality tree trunk into a well designed object. 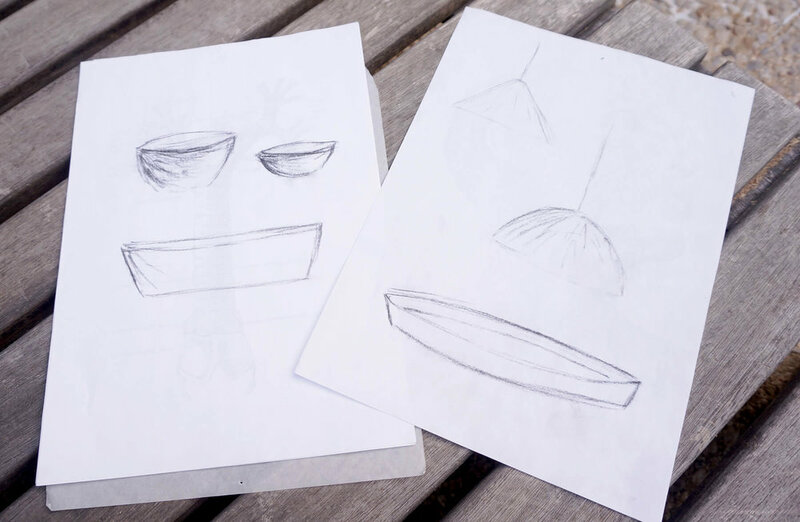 Ranging from bowls to boards to lamp shades, the aesthetic is always clean, and the lines almost perfect. Since Martín has had no formal design training, his know-how comes from hours of practicing with the lathe, which means there are many unwanted pieces laying outside the studio in coffers made from unused bee hives. To the untrained eye, one would think him crazy for throwing away such precious remains, but he clearly knows what he is doing. The team talk with pride about their craft, but also understand the importance of the learning processes required to take on manufacture and distribution, one step at a time. Venturing into a made-to-order market allows them to work specifically with a final customer in mind too. Their brand has caught the eye of designers who are, in turn, commissioning projects from them - another direction in which they would love to move into as they grow. 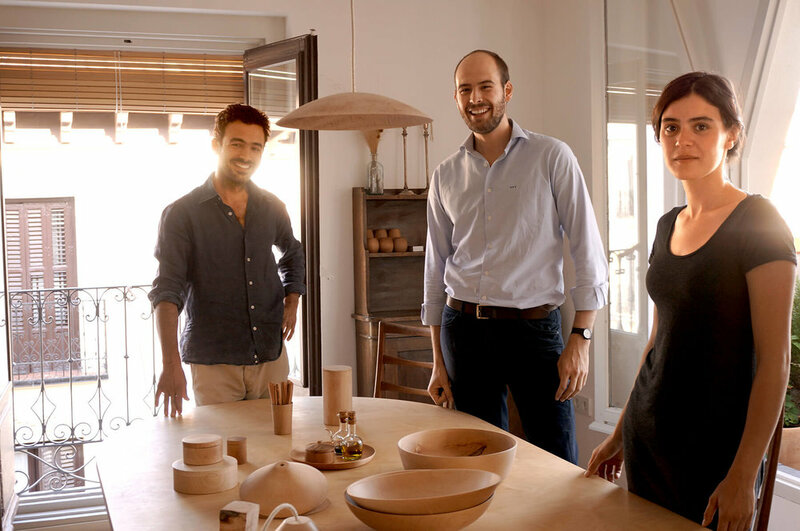 As the Siete Formas team pushes for a more diverse conceptualization of their wood turning techniques - so that they can create in larger work spaces and offer broader design projects (for which they clearly have the ability) - one can see how their intuition and ambition will guide them in the right direction.